Our range of products include vanaz bajaj auto lpg cng diaphragm. Suitable for for Vanaz CNG LPG Kit used in 3 Wheeler Auto Rickshaw like Bajaj Auto. The Set includes 3 Diaphragms as in the picture and are available seperately too if needed. 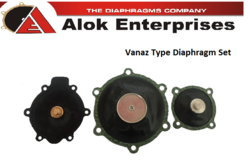 Looking for Vanaz LPG CNG Auto 3 Wheeler Diaphragms ?